A senior US general once criticised for saying it was “fun to shoot some people” has been picked to take over US Central Command, leading the military command running the wars in Iraq and Afghanistan. Mr Gates said that appropriate action had been taken at the time, when Mattis was reprimanded by the Marine Corps and told to choose his words more carefully. “I think that the subsequent five years have demonstrated that the lesson was learned,” he said. 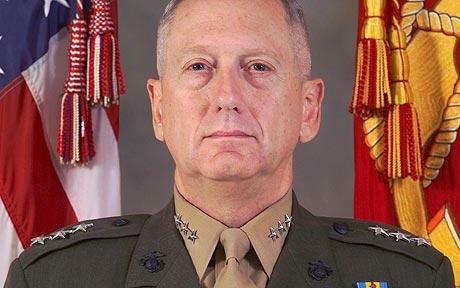 Gen Mattis, who had been due to retire, was picked for the post after a shake-up due partly to inappropriate comments by General Stanley McChrystal, the former top U.S. commander in Afghanistan who was sacked on June 23. The former Centcom chief, General David Petraeus, vacated the post after agreeing to assume command of the Afghan war after McChrystal and aides were quoted making disparaging remarks about President Barack Obama and top aides in a Rolling Stone magazine article.